With Charlotte officially becoming the Hornets again and the Air Jordan 11 being the official shoe of the team's mascot, it was only a matter of time before we saw the iconic model surface in purple and teal. Shared by Sole Fly's Carlos Prieto, this pair belongs to his sister (likely MJ's wife). The shoe features a purple Cordura and patent leather upper with teal hits on the laces, Jumpman embroidery, tongue and heel tabs and inner lining. 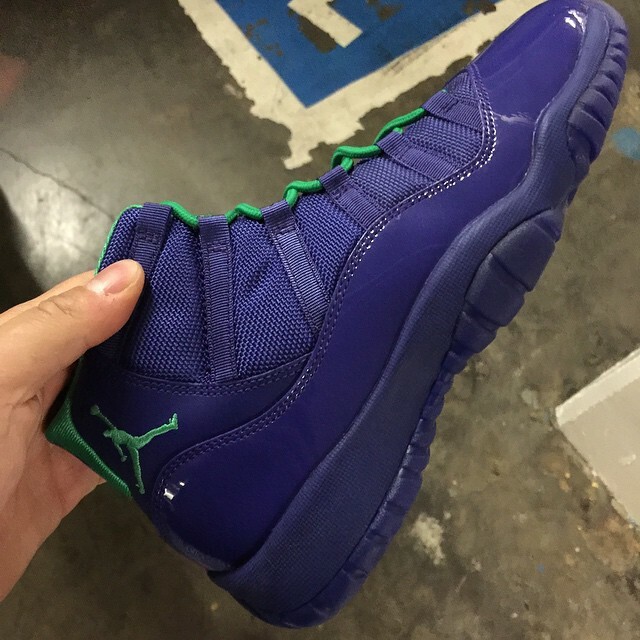 A purple midsole and translucent outsole wrap up the look below. Nothing has been announced as far as a possible release, but let the speculation begin. 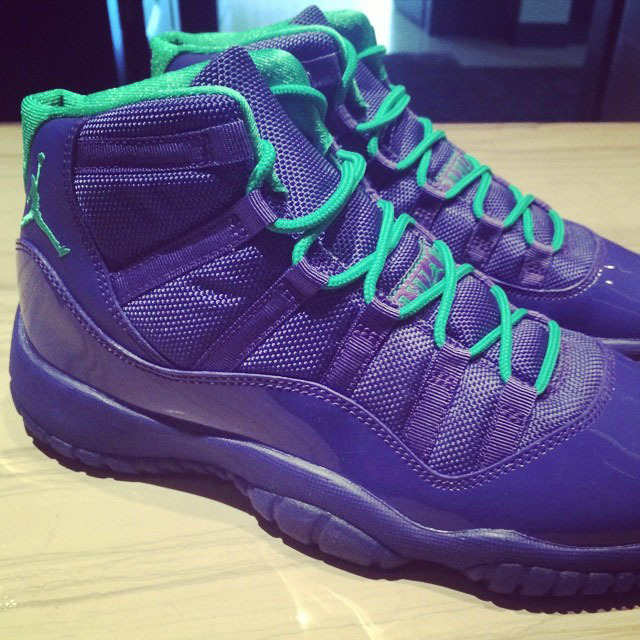 Should Jordan Brand release this colorway? Gradeschool exclusive? Let us know what you think and keep it locked to Sole Collector for updates.